Did you survive Daylight Savings :)? 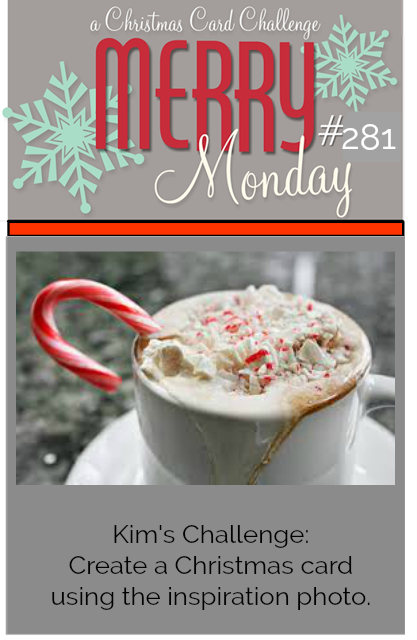 We have a new Merry Monday Christmas card challenge, Kim is our hostess and her challenge is to Create a Christmas card using the inspiration photo. I am playing with some new shaped dies and I like the way it turned out. I used simple layers for most of my card and lots of foam tape :). the top panel is popped up as is the sentiment and coffee cup. 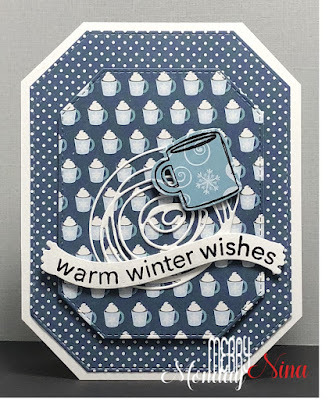 Supplies: White Cardstock, Designer Paper-Echo Park, SSS-Winter Warmth, Sizzix- Swirl die, MTF - Corner Rectangle. Come play along with the challenge, stop by the Merry Monday blog to take a look at all the great inspiration created by the design team. Love your pretty shaped card Nina. 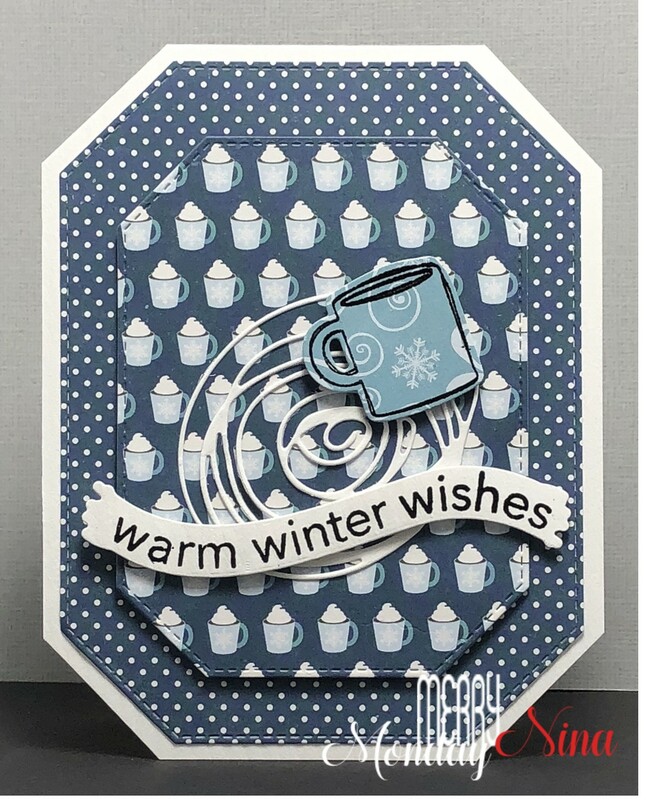 The lovely papers and layers look great with that cute cup and the swirl die. Hope you have a wonderful week. This is simply wonderful! Love that you changed up the color to blue, so beautiful. Love your card! You find the cutest papers, Nina! Just love the mix of blues - perfect with the white swirl and cocoa cup on top!! Nina, I love the pattern papers, you used. Such a lovely card. Hope you have a great week. Luscious BLUES! Great design and DP! Have a SUPER week!! !